Unless you were living on Mars for the last 2 years you might have heard the word SEO at least 10 times a day. SEO is a technique which helps search engines find and rank your site higher than the millions of other sites in response to a search query. It is the process of improving the visibility of a website or a webpage in search engines. Have you ever wondered why some websites rank better than others in search results page? SEO is one of the most effective things you can do online, getting your website optimized in such a way that the search engines will reward you by sending traffic your way. Studies have shown that most search engine users don’t click past the first three pages of search results; many don’t even click past the first page if they find what they are looking for. Your own experience using search engines probably confirms this. What does this mean? It doesn’t matter how many search engines visit your website; if it isn’t listed in the first three pages, it might as well be invisible. Indeed, getting on the first page, among the top three results will be the best. And that is why we need SEO. Given below are the top 6 reasons why you need to learn SEO. The internet is a huge market place and people have lost their fear of buying things via web. Search engines become a starting place for a product search. The majority of internet users search at least once a day and E – commerce is booming. Do you want to take advantage of this situation? Then you need to dominate the search results. If a company is not able to attract search engine visitors what they normally do is to buy sponsored listings in search engines. With increased competition in PPC campaigns these days you have to offer bigger click per rate to show your ad at the top of the listings. If you are not able to convert this paid traffic in to customers you are losing a lot of money. At the same time if you know SEO then you will be able to top the search results and can save a lot of money otherwise you may spend in PPC campaigns. Researches shows that search engine users have a good tendency to click natural links than sponsored links. Experienced search engine users rarely click paid links. So if you are a company focusing only on paid listings then you are limiting your visibility in search engines. If you have a very successful website on a particular niche then we can never deny the fact that there will be negative information about your company is posted somewhere in the internet. They may in the form is dissatisfied clients, people who don’t like your views, negative comments purposefully posted by your rivals etc. SEO will help you improve your rankings and push your placement up while downplaying pages that contain negative comments about you. Your competitors may already start investing in Search Engine Marketing. Unless you start quickly and compete with them they will start dominating search results and force you down. In order to regain your position back you have to analyze their website and find the details like the number of backlinks they have, sites from which they got link backs, selection of keywords, linking patterns etc. Only an in depth knowledge in SEO can help you with this. Your website is like a brand that you are trying to market. If you have more visitors then you get perceived as a trusted brand by your audience. 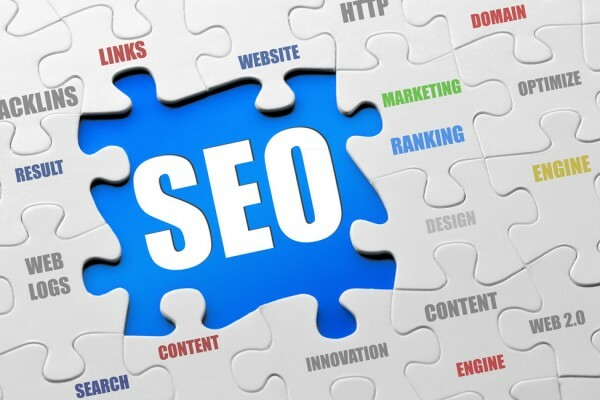 SEO will help to increase your brand visibility and findability. For example if you are able to top the search results for keywords like ‘health insurance’ (I know it is bit hard to top the search results for such hot keywords), then visitors begin to think that you are one of the best health insurance providers in the world and thus you will begin to considered as a brand. Yes, Search engine optimization has many benifits. In my opinion, the first step of SEO is that we should choose the good conversion keyword to rank since even though we can pull the keyowords into number one, it will be not useful if the conversion rate is bad. You are right Dana, choosing the proper keywords is an important step in SEO and we have to develop the skill of finding the best keywords. Sitemap’s are very essential for getting all of our blog pages indexed by Google. I am using Google XML sitemap plugin in my blog and it is doing the work fantastically. About Search engine submission I don’t think that we have to do it manually. In my experience if we are able to get 1 – 2 back links to our blog then we can get quickly indexed by Google. You are right Sandeep, if we want to get best out of our websites then we should definitely learn SEO. Thanks for the comment Sandeep. Thanks for this post Rojish. I love the intro but in the Western World we say, ‘ Unless you have been living under a rock ‘ haha! Nice to see you here Fazal. Do you changed your domain name Money Maker Legend ? Yes i did and this is the last time i do it. MoneyMakerLegend.com had way too much characters! Keep up the good work! SEO if for natural traffic and thereby more ad conversions. Learning SEO is a must for surviving in the web. You are right Mukundan, it is very hard to survive without learning SEO. Doing SEO is important because Search Engine has a potential to bring tons of traffic to your website. To benefit maximum, do seo for bing and yahoo. these site will deliver very targeted traffic than google. i have personally observed that i receive better clicks from users coming from these search engines than google. Yes bing and yahoo can bring some targeted traffic but I think still most webmasters are focused on Google. You forgot that SEO can help you to earn money. Yup, I should mention that. If we can do SEO ourselves then we can save money we may otherwise give to an external agency. Thanks for your point. Indeed SEO is very important. I receive most traffic from search engines, and I will definitely make it receive more traffic in the future. Thanks to wordpress plugin, SEO is much easier now. Hello Jia Jun, welcome to my blog. We should focus on SEO inorder to increase the traffic from search engines. Organic search traffic is of best quality and we can make a lot of money from them. Interesting argument, Rojish. SEO plays a vital role in building a blog’s position in it’s industry. Moreover, SEO provides good organic traffic in the long term which is quite beneficial at times when your referring traffic is at a low or your direct traffic just wouldn’t increase anymore. By the way, what theme are you using? Hello Abdul Rehman, nice to see you here. I am using Freshlife theme from Theme Junkie. never learn about SEO properly. But i know how to do that. It works without i know it was SEO. I learn SEO after i already do that for long time. Haha.. Yes SEO is pretty much needed to develop any brand or drive traffic to blog. SEO is one of the most important factors on getting actual realtime visitors on your site. Using proper SEO techniques you can acquire a lot more profit. Thanks for the comment Amrish. You are right, every blogger should have knowledge in SEO. When someone has created their website then first dream of his/er to get huge traffic.So question comes in mind what should to do to get it?The answer is SEO.Yes Only SEO is the medium through which we can get popularity for our website on Internet and can get huge traffic for our website. Really it was good experience to read this blog post.I believe people ll get some knowledge about SEO from here. To get the best from any SEO, you need to understand the basics of SEO itself. From terminology to what method is more effective than others, even just understanding the SEO basics will help you plan ahead and know what you need to do next. Remember, a little knowledge is dangerous. I think Competitor analysis and then making strategy of your own to bid your competitor is main. Creating a Link wheel we can easily make Back-links to our website. Thanks for the helpful tips. I had never considered that people prefer to click on the natural links, I guess they’ll seem more reliable than those who have paid to be there. I just think that SEO is incredibly time consuming, to build up so many links and write blogs etc really takes time and searching. I started learning SEO about a month ago and it can be done – but it just takes a lot of time and effort. SEO provides website owners with FREE targeted traffic that comes from search engines. Also, search engine optimization provides long term results. So, if you invest in SEO and achieve SEO improvement one time you will be able to attract targeted traffic for a website for a long time. You described it very cleary. thanks man.